Oh hey, Happy New Year my friends in yarn! I will be starting my newest business venture this week with my little space in a local bakery…wish me luck! This one is my fav ~ and I might even make one in my size! These are all awesome! you are so creative! Thanks Daph! Your are a pretty talented chickie yourself! Love your hats! Did you have a pattern for the snowflake or just make it as you went? Is the space in the bakery actual bakery or yarn space? I just made up the snowflake by stitching with a doubled up piece of white yarn and needle. I could sketch it out for you if really want it, just let me know. As for the bakery ~ it’s yarny space! Wooty woot 🙂 The shop owner thought it might be fun to have crafty corner. 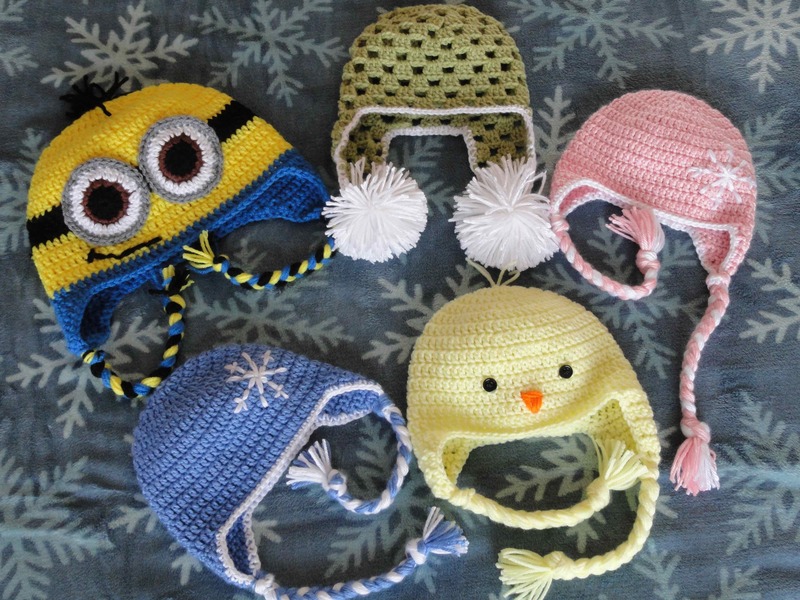 all the hats are gorgeous, ( and you realise I’m going to copy your chick? ) but the one with the pompoms is DIVINE. Here is your order for the week: POST PIC OF YOUR BAKERY DISPLAY WITHIN FIVE MINUTES OF COMPLETION. I am dying to see what you do with it. And make sure you have more stock – the orders will start flowing in and you’ll be making your own dough! The hats are all so cute. Here’s Good Luck with your new venture in the bakery! Thank you thank you thank you friend!!! I so agree. 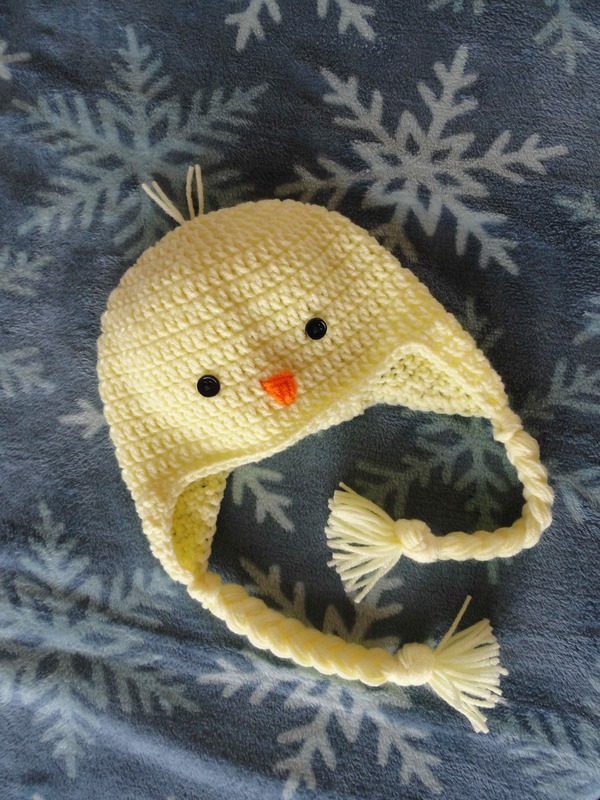 That chickie hat makes me want to squeee. I’m excited to hear how your little business goes! It sounds low pressure, just being set up there in the bakery, so hopefully that will make it more fun for you (not like sitting there at a craft fair questioning your sanity). And I’ve no doubt that your awesome creations will catch people’s eyes! Thanks! I should be up and running by the weekend. Wooty woot!